Halloween is around the corner, and you’ve planned the perfect costume for yourself and possibly your kids. 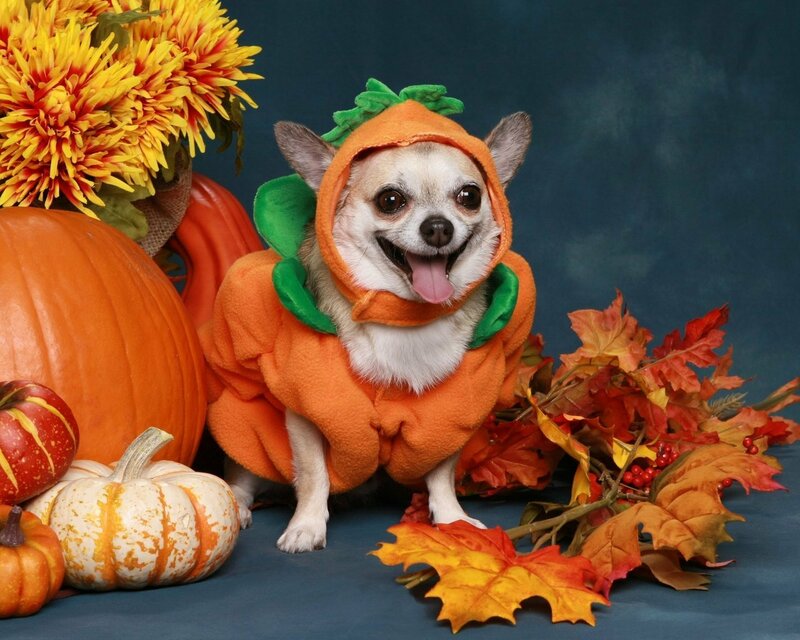 But let’s not forget the most important family member on Halloween: your fur-baby! 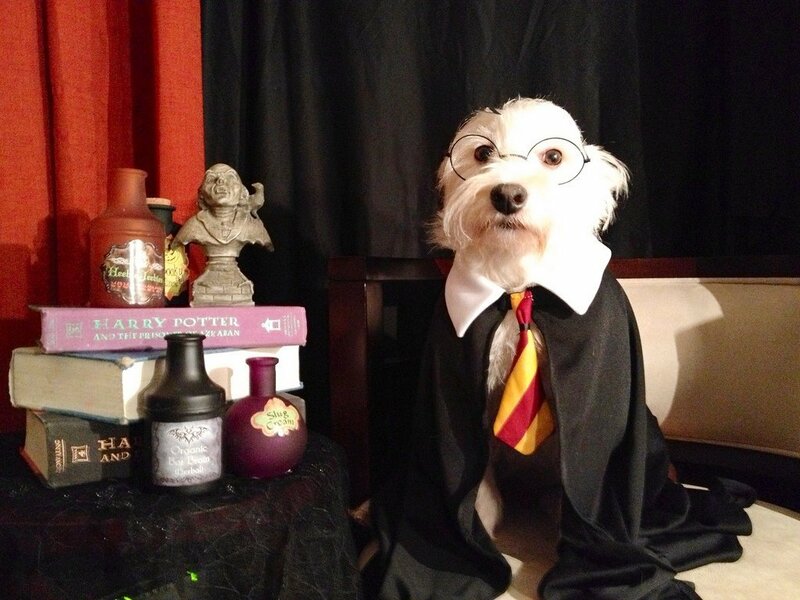 (Pets in costumes definitely win Halloween.) Whether your non-human family member has four legs, fur, feathers or floppy ears, check out these hilariously cute animal costumes. Your pet may (um, definitely) hate you for putting them in it, but the Instagram likes you’ll get will make it all worthwhile. 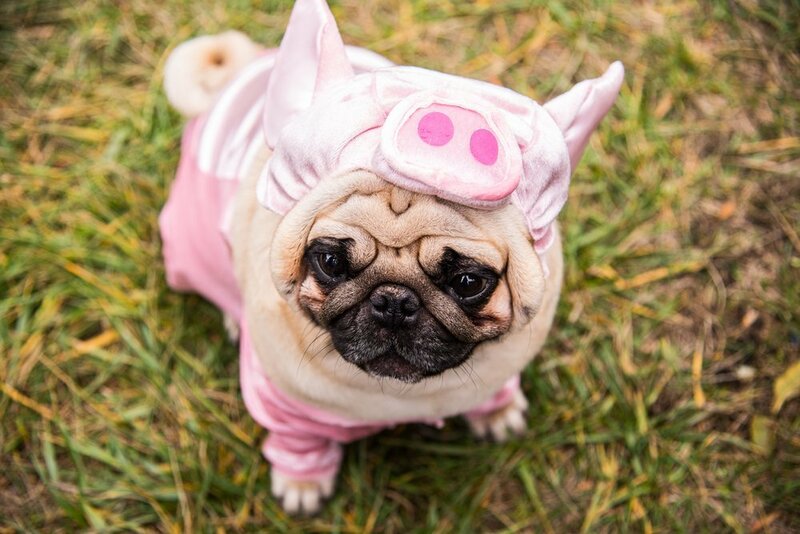 There aren’t many things more adorable than an animal dressed up as another animal but the cutest option of all is definitely a pug dressed as a pig. It’s a pig-pug! These are classic costumes for a reason — and perfect for small animals. You really only need the hat. 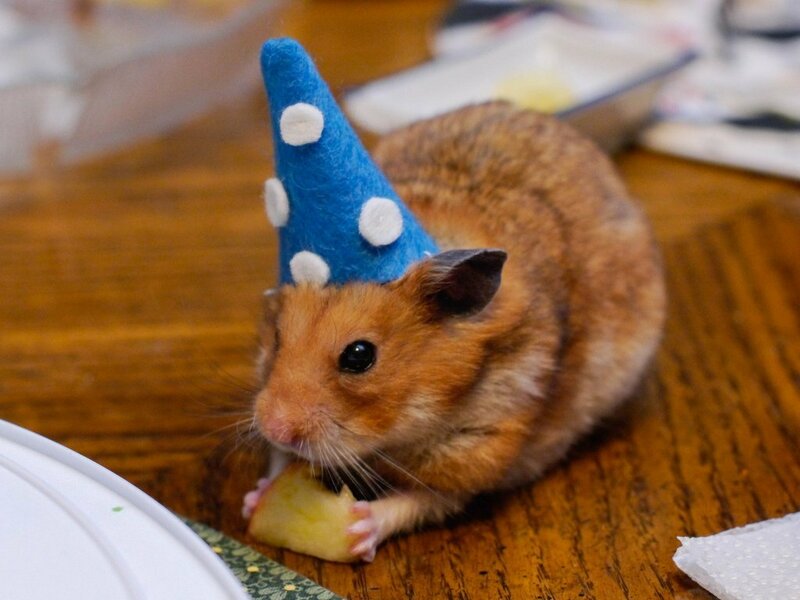 Come on, look at this hamster eating cheese in his wizard hat. Look. At. Him. Another Halloween classic, there is no one (human and animal alike) who doesn’t look adorable as a big, orange pumpkin. 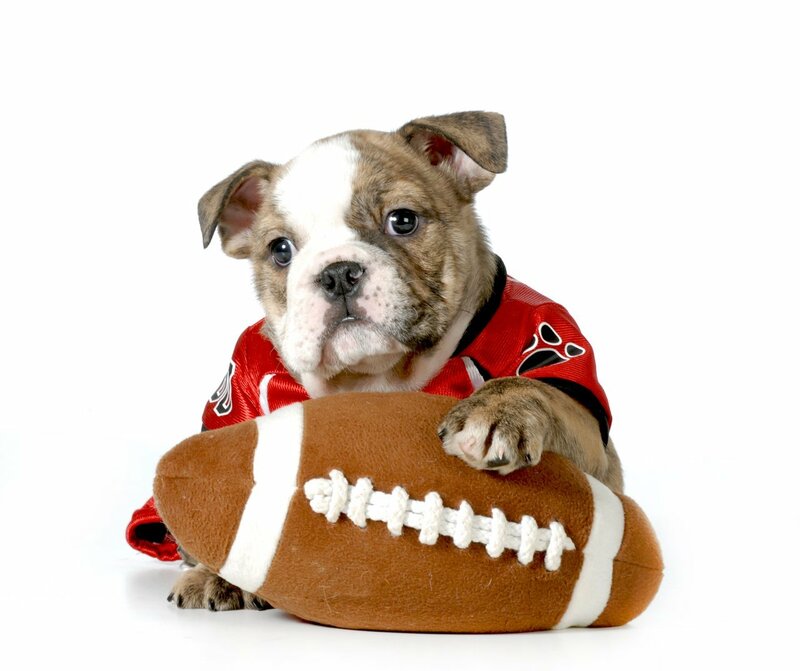 Is your pup feeling a little bloated this Halloween? The pumpkin is forever forgiving. Plus, it can double as a party decoration. 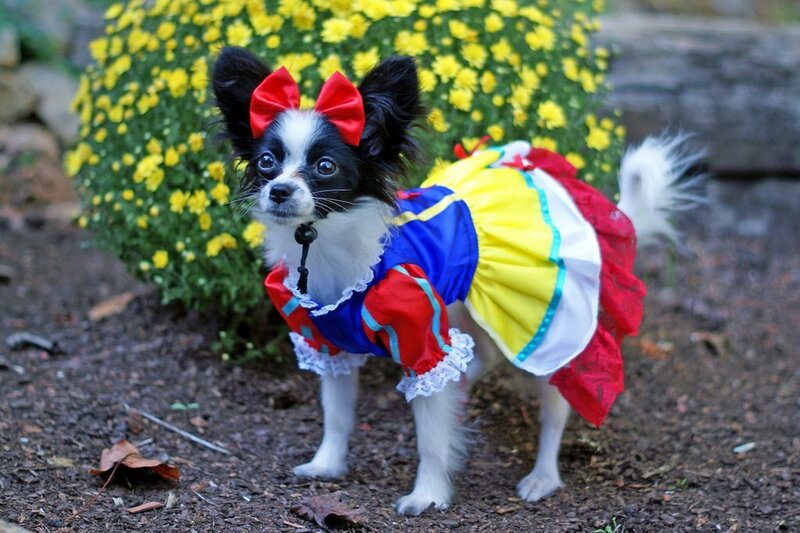 While it’s not the easiest costume, if you’ve got the time and the interest, your pet would look pretty sweet as a Disney princess. Got a whole bunch of pets? Even better! Grab some floppy hats and dress ‘em up as the seven dwarves. 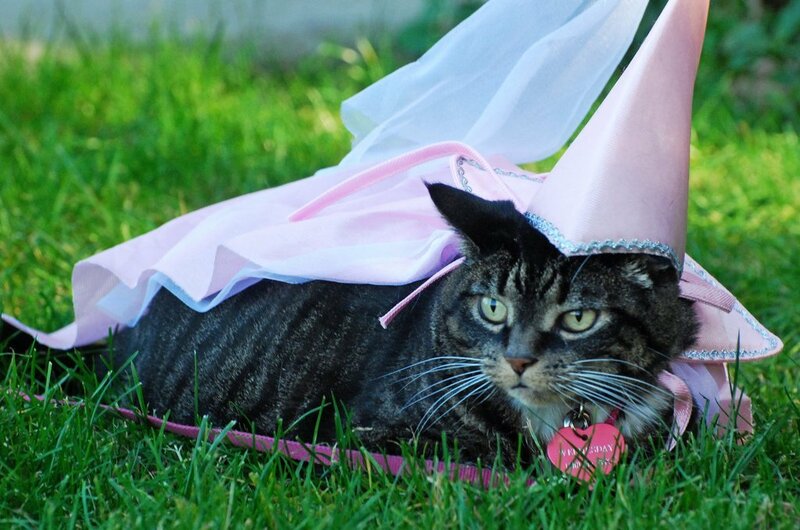 Speaking of royally cute options, Halloween is the perfect chance for you to show the world something your pet has known all along: she’s a real princess. Hey Parrotheads! 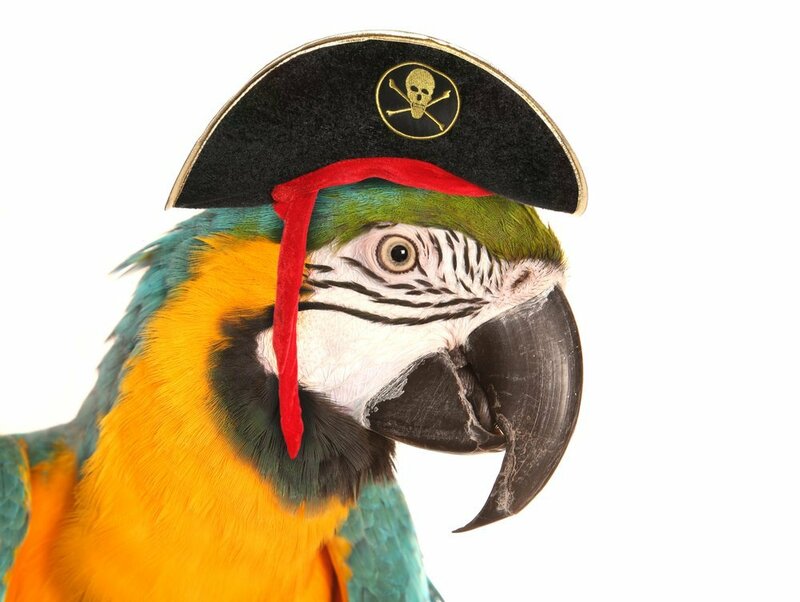 If you’re lucky enough to own a parrot, a pirate Halloween costume seems like a no-brainer. Bonus points if you can teach teach Polly some pirate lingo or, better yet, some Jimmy Buffett lyrics! 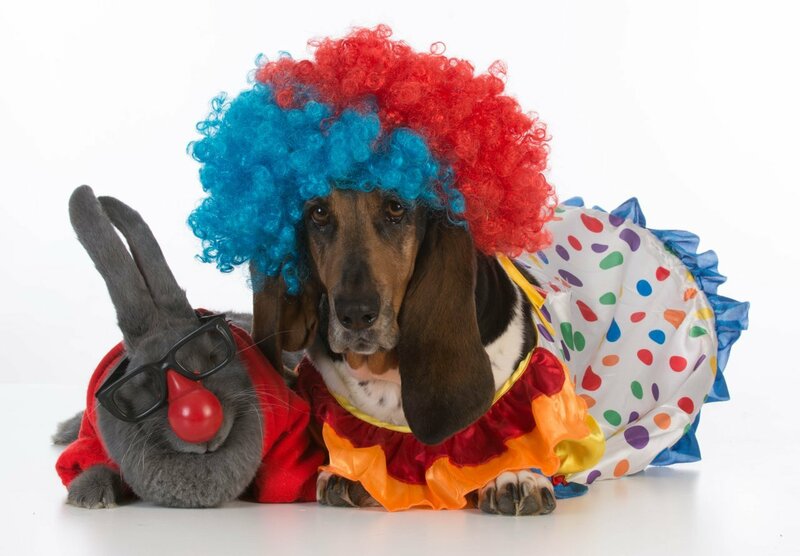 There’s nothing more terrifying than a clown — unless, of course, the clown is your pet. In that case, there’s nothing more amazing. Just try not to burst out laughing when these guys come shuffling around the corner. Just try. This one is the perfect multi-functional costume. Use it for Halloween and then bust it out on game day all season long. 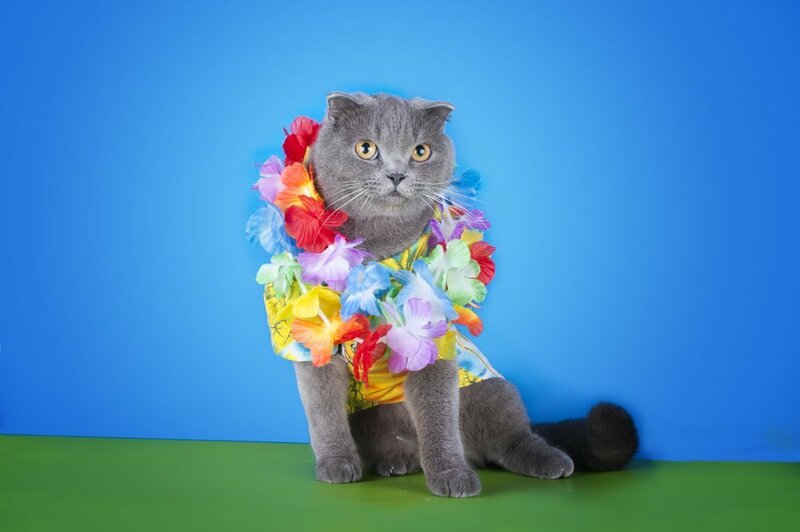 Okay, so maybe the look is more “Hawaiian Tourist” than “Hawaiian Local," but your pet will fit in perfectly at any luau. Have you ever seen a less hardened criminal? 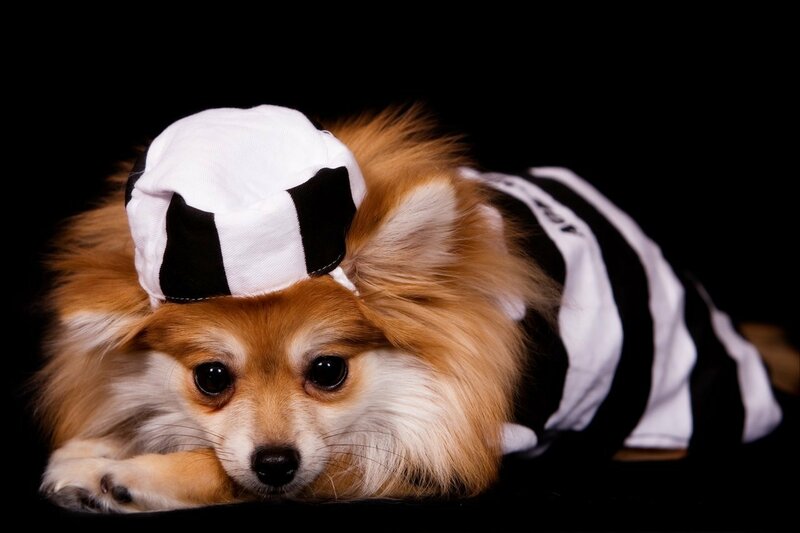 And the best part of this costume is you can go around telling everyone it’s The Pawshank Redemption. This little guy is buzzing for sure. 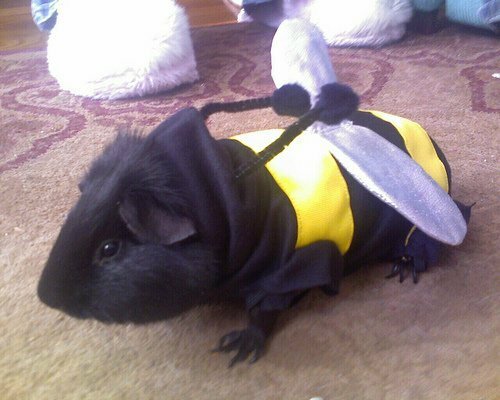 And while it’s true that the littler the costume, the cuter, this bumble bee look can work for almost any pet. This one takes the classic wizard costume to a whole new level. The outfit is so good, you might even say it's magical. One of the major pros to this costume is it shouldn’t be to hard to find the pieces. 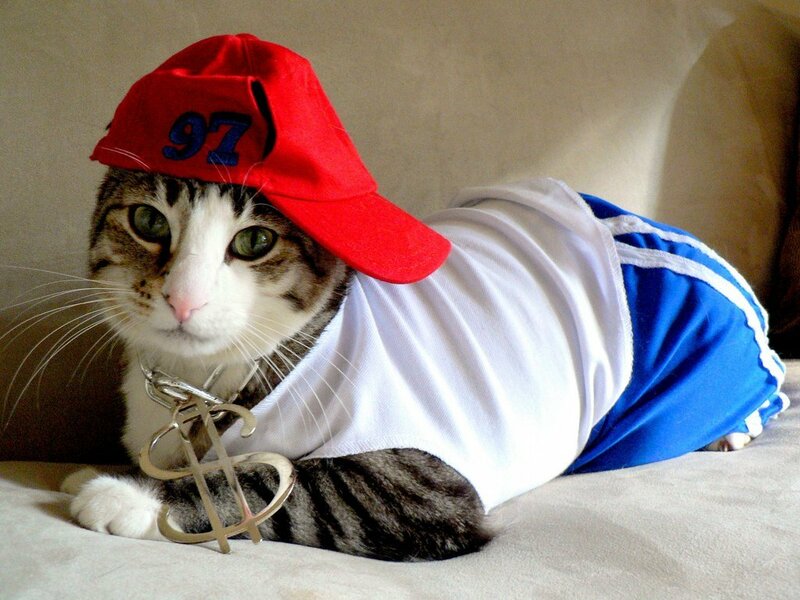 It works best if you’ve got a cat—you can tell everyone his name is Kitty Smalls. And if you like to put the “trick” in trick-or-treat, you can always play a little Halloween mind game: slap on some ears and a tail, and go as your pet, then dress your pet in your clothes. We call it Freaky Friday: Pet Edition.